This post is a long time coming! So let’s just get on with it. Post contains affiliate links. 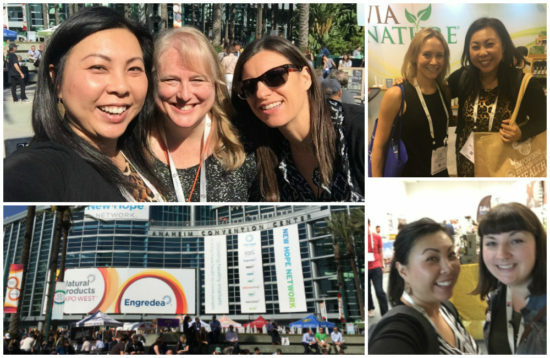 ExpoWest, aka Natural Products Expo, came and went, and boy, I earned my 10,000 steps every day. It was also a pleasure to re-connect with brands, pros and bloggers out there covering the floor. Healthy Times – Organic Baby Formula – While Spawn is too old for formula nowadays, I do know many moms who scramble to find formula that doesn’t contain a lot of questionable ingredients. In a few of my mom groups, moms suggested to other moms order organic formula from the UK for their babies. They’re not interested in the big brands here in the US. This brand is based in the US and woman-founded! Vegan or not, you should try this @naughtynoahs vegan pho! 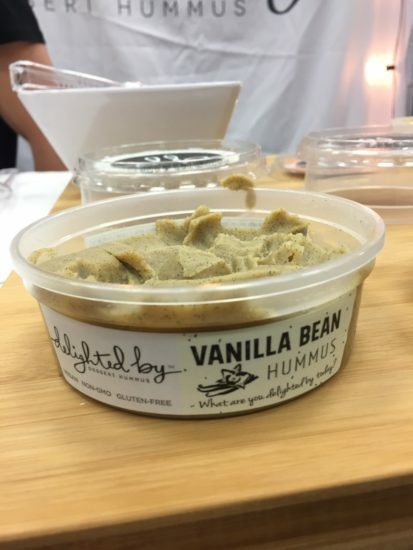 This was one of my fave discoveries at #Expowest this year. 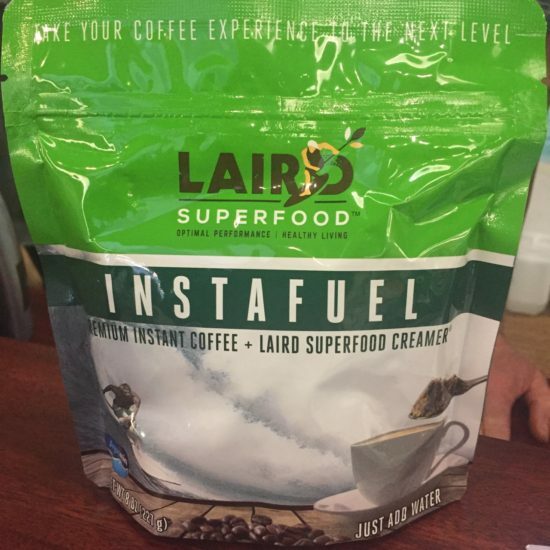 Laird Superfood – Creamer – The team at Laird Superfood (yes, THE Laird Hamilton) showcased their Superfood Creamer and Instant Fuel (coffee). This is kind of like bulletproof coffee without the butter part. It’s made with coconut powder, coconut oil, instant coffee (theirs) and a few other pronounceable ingredients. That’s it. Heat some water, throw a few spoonfuls in, mix and drink. The Superfood Creamer is non-dairy, too. 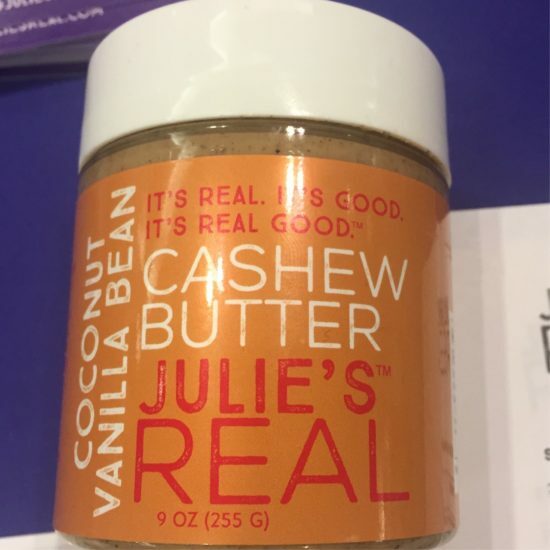 Julie’s Real – Nut Butters – Yum! If you are sick of plain peanut butter, might I suggest you try Julie’s Real nut butters? One of my favorites is the cashew coconut vanilla bean. No additional sugar needed. Just slap it on your boring bread to make it magical. One Culture – Chinese Fermented Black Bean Sauce – So this micro-business makes Asian marinades that real Asian people use. Like me.I tasted the Korean Gochujang at Expowest but went home with the black bean sauce to try with meat. Non-gmo, probably caged, Zacky Farms chicken. Sorry not sorry. For my next attempt at cooking a real meal for the family, I’m picking up the Gochujang. 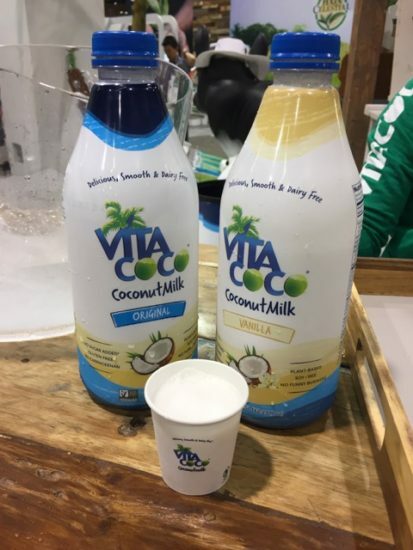 Vita Coco – Coconut Milk – I know, I know, Vita Coco, giant brand with a lot of money behind them. 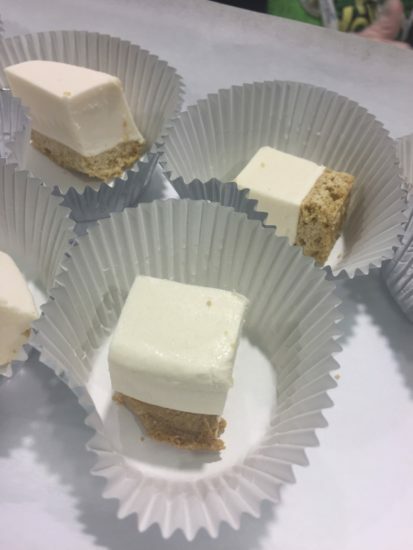 They debuted a coconut milk that wasn’t separated and icky. It is smooth and rich, but not fatty-tasting. This is something you’d use on cereal or add to smoothies. 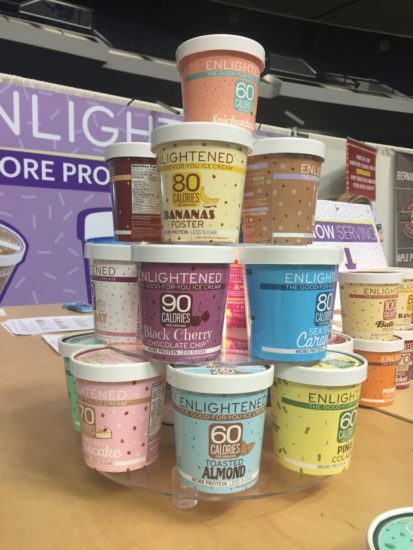 Enlightened Ice Cream – This was one of my favorite ice creams I tried this year. It is lower in calories – about 180-400 calories per pint. I mean you could eat the whole thing and still have room leftover for lunch and dinner. They’ve got a ton of flavors in pints as well as bars. They also have something called Broad Bean Crisps, which are different from your typical roasted peanuts. 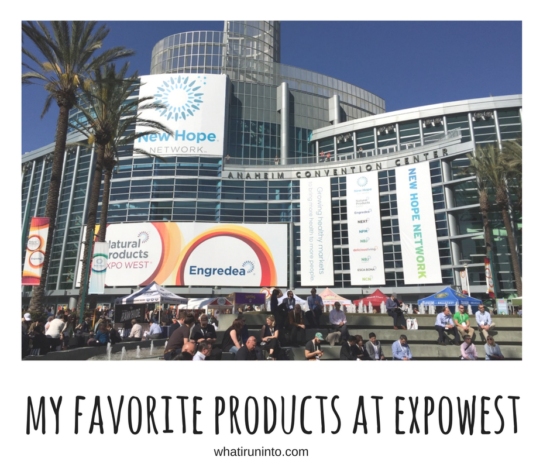 There were two trends I kept running into at Expowest this year. 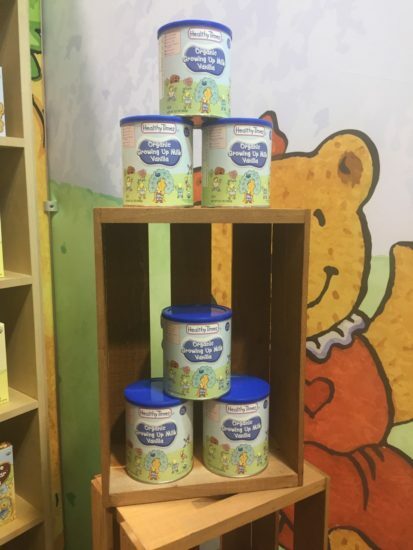 The first was all the nut butters. 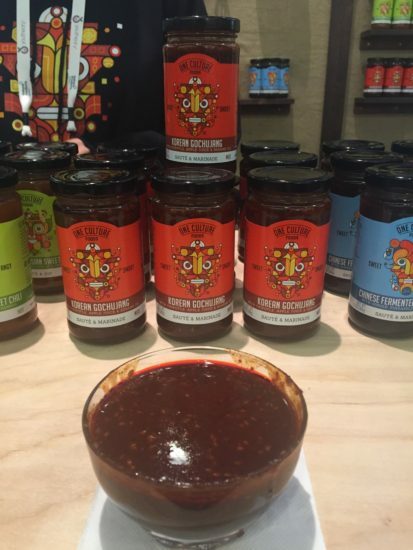 If you could make a spreadable spread, it debuted at Expowest. The second was ice creams. I tasted a lot of ice creams – dairy, non-dairy, froyo, whatever you could freeze and scoop, it was there. Non-GMO, of course. I look forward to visiting next year and checking out the new trends in natural foods and products. What did you find that should get more coverage?